The handling, feel and overall feedback of the car is 100 times better now. The sway bars have added such a significant difference in the stability and handling that I can't recommend enough to get it done. On the highway the car feels much more planted when switching lanes and you just feel much more control on curved ramps. Making turns on side streets even feel better too. The car feels like it is on rails and I am on the stock good years and M-sport suspension. I can't stress enough how much of a joy this has added to the driving experience. Ride Quality feels smoother to me especially going over any bumps. The car manages bumps or defects on the road much better. There is a bump on the highway I always pass and after going over it with the new sway bars there was no jarring like before. I was worried at first it would make the car more stiff and become a harsh ride but not at all. My wife even noticed the difference and said she felt it was smoother than before (sigh of relief I tell you). Lifetime warranty and the installer said it was not difficult at all to remove and replace the stock bars. The only issue he had was that he had to make a small cut on one of the plastic cover panels at the front near the curved part of the sway bar. 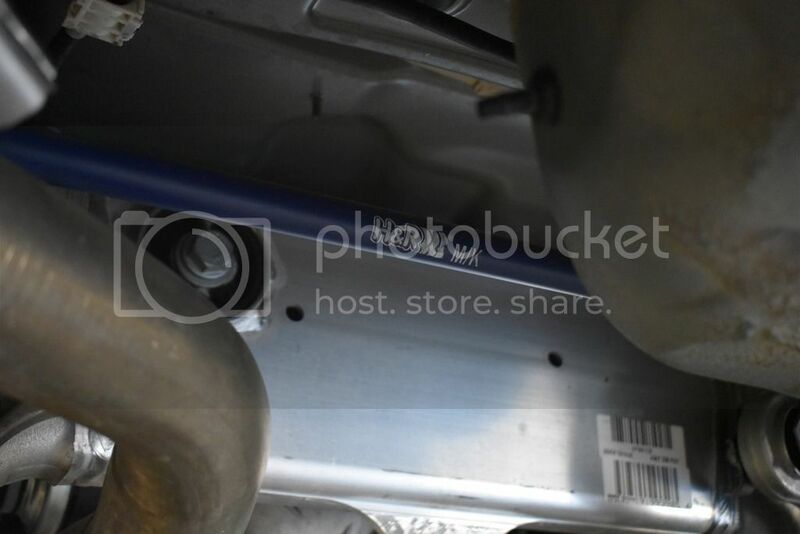 The fitment definitely looks more flush than the M5 sway bar. I highly recommend getting it done if you have an F10 whether it be a 528i, 535i or 550i. Car feels much better in every way and I can't stress enough that this has brought a bigger smile on my face while driving. 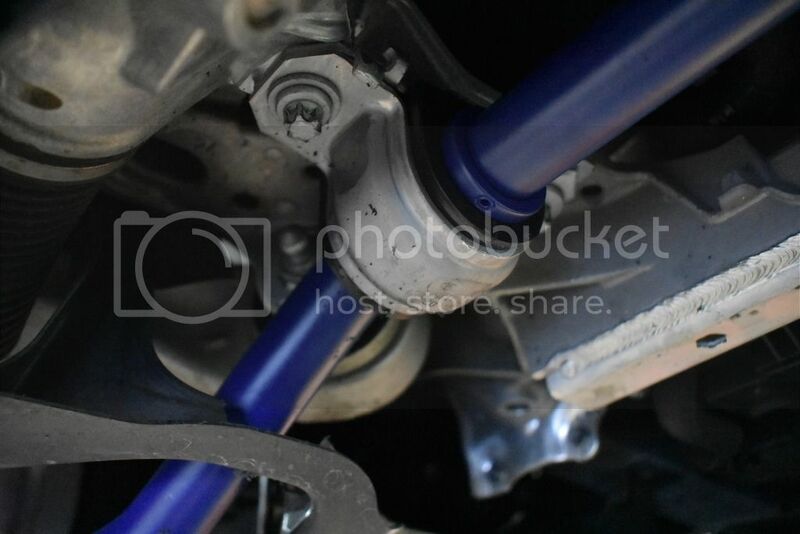 The pictures show the size of the stock sway bars to the H&Rs. European Auto Source had their own photographer take pictures as well so they should be posting up a thread here or on their website sometime soon. If you have any questions then feel free to ask away! Last edited by Takumi587; 11-06-2016 at 04:04 AM. Thanks for the great review! Can't wait to have mine installed now. 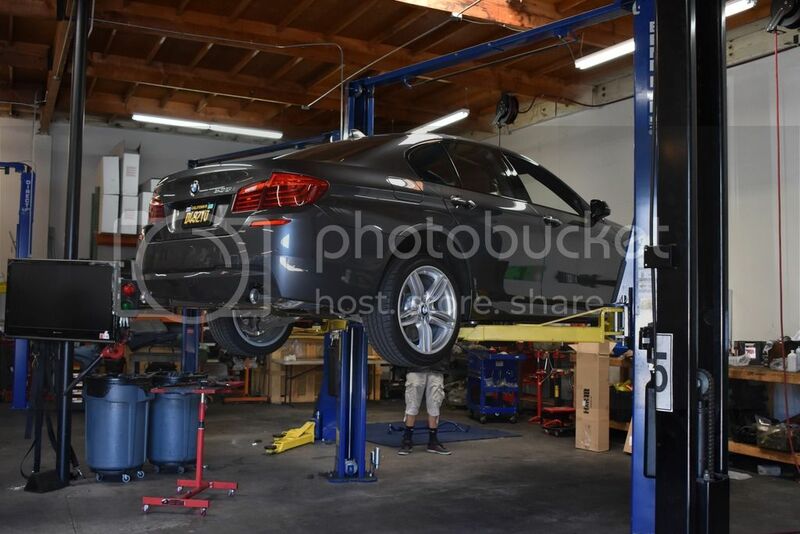 BMW 535I xdrive 2011 M-Sport with H&R Springs, Niche Form Wheels 8.5 ET35 / 10.5 ET35, Continental DSW06 245/35 & 285/30, JB4 Map 5, ER Downpipe, Megan Racing Quad Exhaust with Vibrant resonators, M5 Diffuser, Orange reflector shaved and removed xdrive badge. Thanks for the information! Its good to know about mods that can improve stability and handling which always is important. 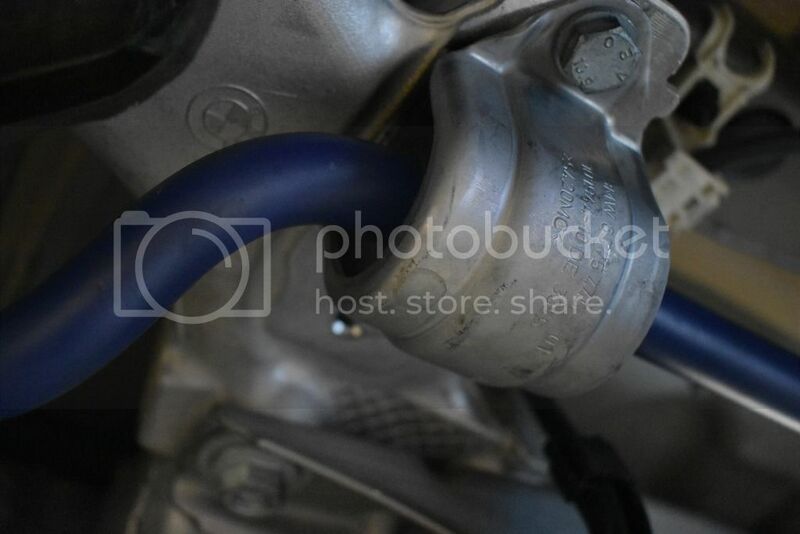 Where you get these sway bars? Did you happen to get it from here? I did not purchase them from Tunershop.com. I purchased them from European Auto Source which is located here in Southern California. It is not listed on their website so you have to call them directly. I purchase the parts and had them installed by EAS. 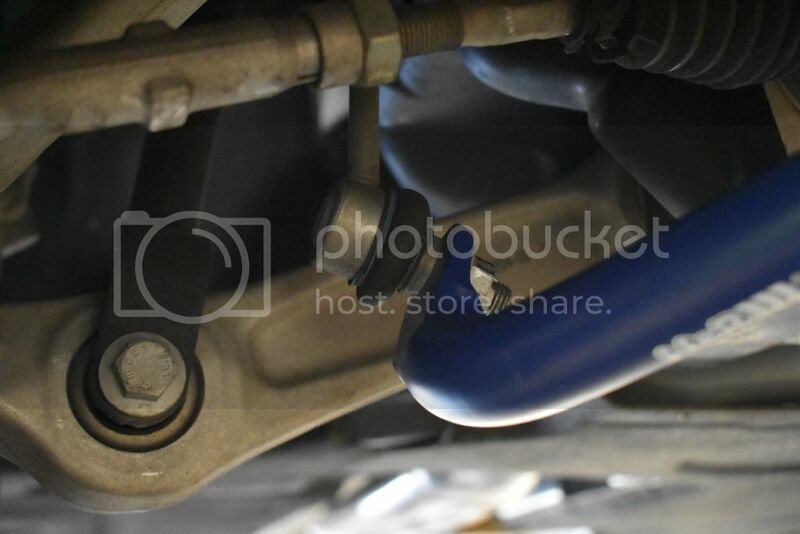 I believe there is another thread regarding the purchase of the sway bars from Tunershop. I would request from OP to post pictures of the ones he received and compare them. Should be hyper blue like the way mine came. I paid $299 for Rear Sway bar & $395 for Front Sway bar. Installation (labor) was $250. Fantastic review! Thanks for sharing. By the way, what were the OEM torque specs? So I just installed the front today, pretty easy. I did not have to cut outer edge plastic, because it fitted perfectly. I tighten the bolts at around 100lbs torque. I will do rear tomorrow. I hope it is okay to post rear diy here. You don't have to drop anything. 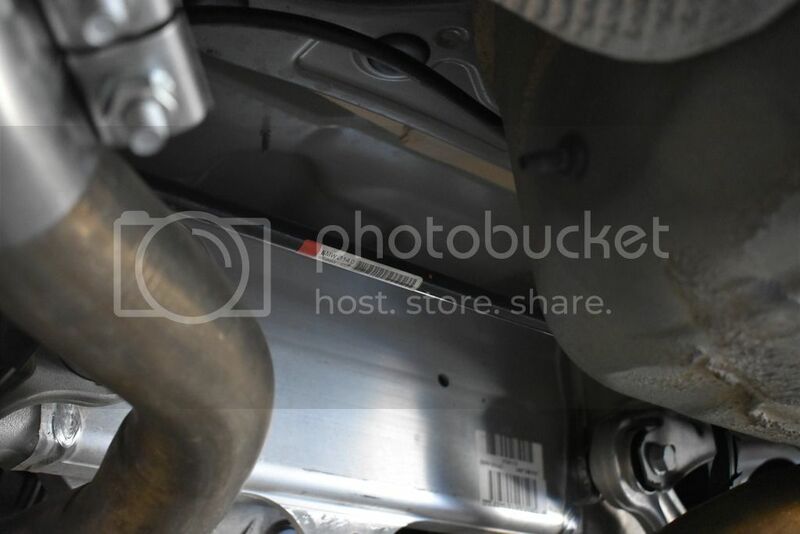 Remove 3 rubber hangers from exhaust on each side. This will give enough room to slide out OEM sway bar. Awesome! Yea no problem posting the DIY because I am sure people want that info as well in here. What are your impressions so far of the sway bars? I am about 1K miles so far with them and love it still. I definitely feel more confident on curves and turn ins. 5 series without M Sport is worthless in suspension department. My car has standard suspension. I was always scared doing sudden lane change at 80mph. With new sways installed, it has made an amazing difference in body roll. It is virtually flat in cornering and during lane change. Steering response is improved like 50%, turning circle is quicker and shorter, feel more through steering wheel, you can feel more road surface through car. If you are spirited driver, do the upgrade. Update on H&R sways - I took four hour trip with these new sway installed. The ride comfort is little uncomfortable at high speed. Car bounces lot more from road surface imperfections. Below 50 mph ride comfort is close to stock. 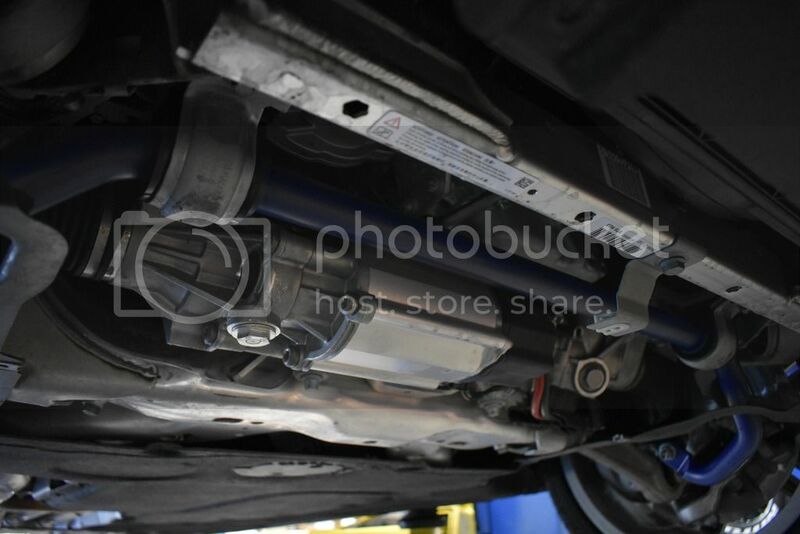 On my older 535i M sport I had done M5 and 650 sway bars upgrade which I drove about 15k miles. That upgrade was much more comfortable. M5 & 650 sways cost little more than H&R. Personally I like M5 & 659 sways upgrade better. Are you lowered? Any altered suspension? Different rims/tires? Everything stock except for swaybars. My car has 18" wheels. I have Eiback pro kit I want to install so I am debating if I want to keep current setup or install Eiback pro kit with M5 & 650 sway bars. Well that's not good to hear about the comfort driving being a bit tight? I am on 20" wheels non runflat with H&R Springs. I installed 20" dinan wheels, ride is smoother with non run flats. Handle has improved. I am used to H&R sways now, so no negative comments or drawbacks. Stability improves about 10x with thicker sways. Hi paul do you still think the M5 front sway and 650 rear sway combo is better? i just picked up a 2013 535i base model with 6 speed and also agree with you at 80 mph sudden lane change make me feel very uneasy and vague steering. Should i go with H&R sways? other than that all is stock, i just want more flatter steering and control without sacrificing ride comfort. Hi Paul thank you for the confirmation I have placed my order for $504 shipped direct from germany front and rear set. will report back once its installed.